You can renew your membership online! Click here to find out how. Special Offer for new Huron Perth Chapter members only click here. Participate in local Chapter events such as tours and workshops plus our annual dinner meeting. These local events provide an opportunity to share your knowledge and experience with other local woodlot owners and to interact with representatives from resource agencies and industry. 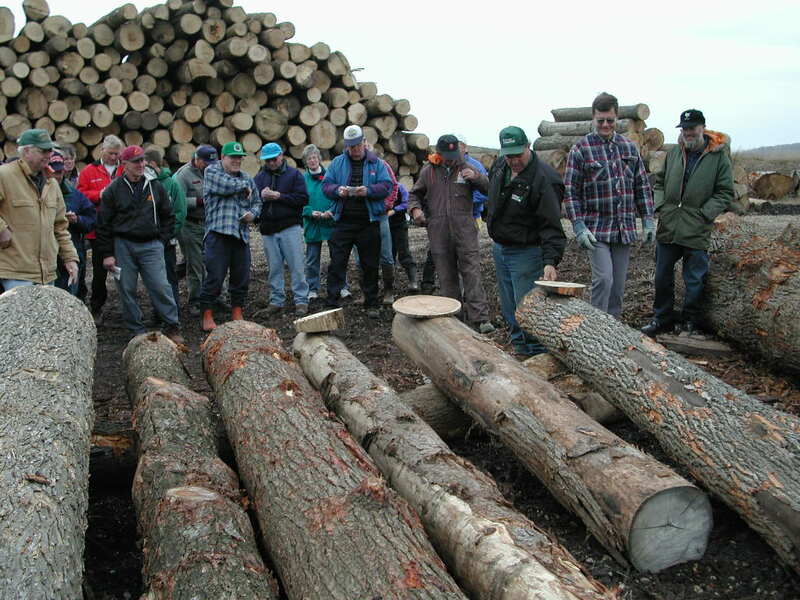 Your Chapter membership includes membership in the Ontario Woodlot Association. Members receive the S&W Report, a 28-page quarterly newsletter. Those with email also receive a monthly electronic e-letter News From Around the Woodlot that provides practical “how-to articles” on woodlot management, and news of people, events, and issues affecting the management and ownership of private land forests in Ontario. You will also have the opportunity to attend the annual provincial woodlot conference. The Ontario Woodlot Association provides a collective voice representing woodlot owners at the provincial and national levels. Our membership fee is $50.00 per year. Of this amount $17.00 goes to the local chapter, for local activities and expenses. The remaining $33.00 goes to the provincial association, which provides the newsletters, maintains our membership lists and provides multiple other benefits. To become a member contact Dave Pullen or Rachel White at 524-8394 ext. 3 or dpullen@huroncounty.ca and rwhite@huroncounty.ca.